With the news of COE prices having fallen to an all-time low in 8 years, many of you might bank on this opportunity and decide that now is the best time to buy a car. However, even with the drop in COE prices, the cost of owning a car in Singapore still remains relatively high. 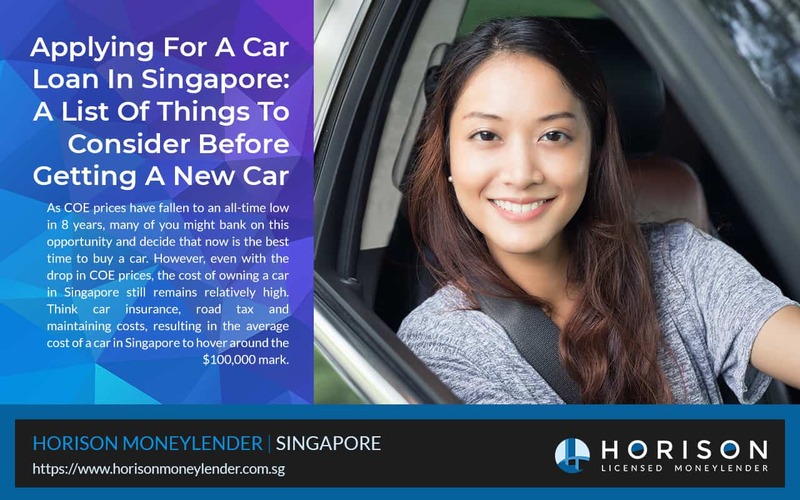 Think car insurance, road tax and maintaining costs, resulting in the average cost of a car in Singapore to hover around the $100,000 mark. This article will serve as a guide in helping you decide if you should get a car, and if so, how we might be able to help, with our personalized car loans. How is The Price Of A Car Arrived? OMV (Open Market Value): This refers to the fair purchase price of the car before all the numerous taxes. The actual amount itself depends on the model. Excise Duty: This tax is charged on various goods. For cars, it’s usually 20% of the OMV. COE (Certificate of Entitlement): The permit to drive on Singapore roads for 5 or 10 years. The cost varies based on car demand though it’s traditionally a large figure (from $40000 going upwards). GST (Goods & Services Tax): This charge is on the OMV and excise duty and is typically 7%. Other charges: Some vendors levy hidden charges under different titles so look out for terms such as administrative fees or agreement fees. Dealers Margin: The dealer is in business and will, of course, include his share of profit in the quoted price. Unfortunately, that’s not all. Buyers need to factor in other mandatory costs such as road taxes, parking, Electronic Road Pricing (ERP), and insurance. How Much Can One Get Under a Car Loan? Car loans are advanced on the OMV without including the other costs. That being said, financiers tend to finance only a certain percentage of the OMV. Generally, expect a maximum credit of 70% for autos valued at $20000 and 60% for cars whose prices exceed $20000. Borrowers should also note that the percentages are the maximum possible. Meaning sometimes, the advance may be less, especially if other factors are not in his/her favor. Not too long ago, the Monetary Authority of Singapore (MAS) unveiled the Total Debts Servicing Ratio (TDSR) with the aim of shielding individuals already mired in debt from sinking deeper. Banks and other licensed money lenders offering car loans are hence obligated to ensure that a borrower will never commit beyond 60% of their total monthly income to debt. Which Other Factors Do Licensed Moneylenders Consider When Deciding The Loan Amount? An individual’s credit score: Those with higher credit scores have a better chance of getting bigger loans. Loans repayment history: Those having a troubled repayment history will find it harder to secure meaningful amounts, if any. Monthly income: This is to ascertain if one will be able to afford a car loan. Other financial commitments: Existing debt can also put a dent to one’s hope of receiving a decent amount. A common mistake among many newbies is a failure to engage the car salesman on price. The car company happily pushes the purchase knowing that they’ve secured a bumper deal. Timing is everything and can save you big monies. For instance, with the low COE prices now, prospective car owners should time their purchases appropriately as such offers mean lower prices and less debt burden. Today, Singapore has more vehicle vendors than ever before all of which are competing for a piece of the pie. The Internet is a great place to start: to get access to facts and figures about the various vehicle features and their pricing, and to map them according to your needs. Although the COE prices have dipped, take time to decide if you really need a car or to purchase another car. As commodities, there will always be newer cars arriving on the market. Car dealers might take advantage of buyers who are in a rush to purchase a new car as they know that the buyer is less likely to walk away without having first making a deal. How much is needed to cover the initial deposit? As mentioned earlier, banks and licensed moneylenders will only cover a proportion of the quoted price so one needs to have saved the deficit. The estimated depreciation will affect items like the resale value (if one wishes to dispose of it before 10 years). Depreciation also shows the actual annual cost of operating a vehicle plus the costs of maintenance and gas. Since the process of computing depreciation is complicated in Singapore, one can use free online calculators available online to arrive at an accurate depreciation value, allowing one to make a more informed decision. Some sellers lump up insurance with the purchase price for ‘customers’ convenience’. However, before accepting the deal, it’s important to find out if buying a policy independently could be cheaper- which is most often the case. In addition to having set aside the initial deposit, buyers should have enough cash at hand to pay for the compulsory road tax plus related costs such as servicing and the special tax levied on diesel cars. It pays to shop for loans. By checking what other financial institutions are offering, a borrower may end up securing an improved deal. Some financial institutions might offer lower interest rates while others might be more flexible in their terms and conditions. Most importantly, one should find out if they are getting the best deal before they apply for a loan. The steep prices of cars in the country have pushed more people to seek car loans. We understand that this might pose as a issue to some of you, which is where we can step in to help.  Speak to us today to find out more about applying for a car loan with us.